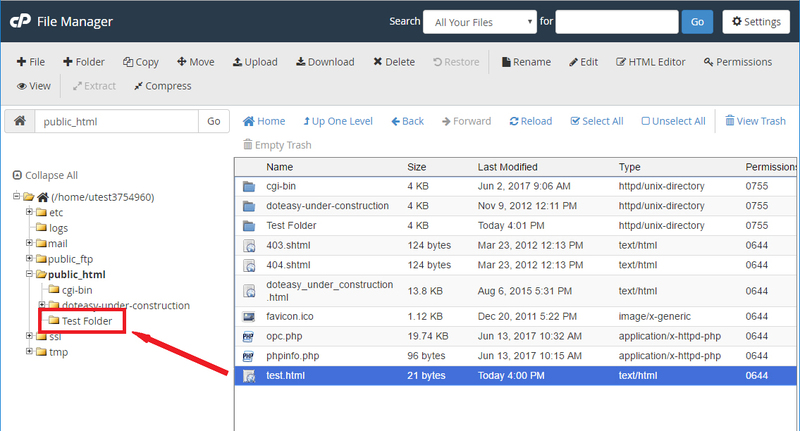 You can use the File Manager to move your files on your server. This allows you to move your files from any device, without the need for an FTP application – all you need is a web browser and Internet connection. 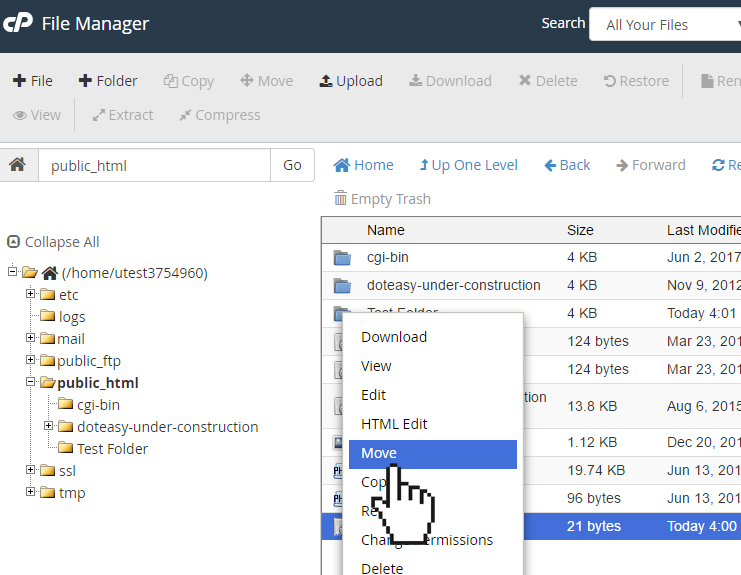 The cPanel File Manager supports drag-and-drop. This means, you can simply select the files and then drag them into the folder or directory you want to move them to. The Move button in the top toolbar will also allow you to move your files if you know the path to the file location (ie. the directory or folder path). You can also use the Move tool in the options menu. Select the files you want to move. Click on the Move icon in the top toolbar. Alternatively, right click on the file to show the options menu and then select Move. Type the path to the folder you want to move the files to. When ready, click Move Files. The files will now show up in the new folder.